Well, that went by fast! I am home from my crazy trip. Crazy and fun. I've missed being here but it was by far the best choice to take a break. I cannot believe how busy it was. Vacation + kids + decorating is a very tricky combination. We made it work. And except getting bailed on twice for someone to come install a few things we are done. Sadly it will be finished up this week and I won't be there. Here's hoping my instructions were clear enough! The room has come a long way. And there will be plenty of pictures when all is said and done. I will give you a few projects this week though. 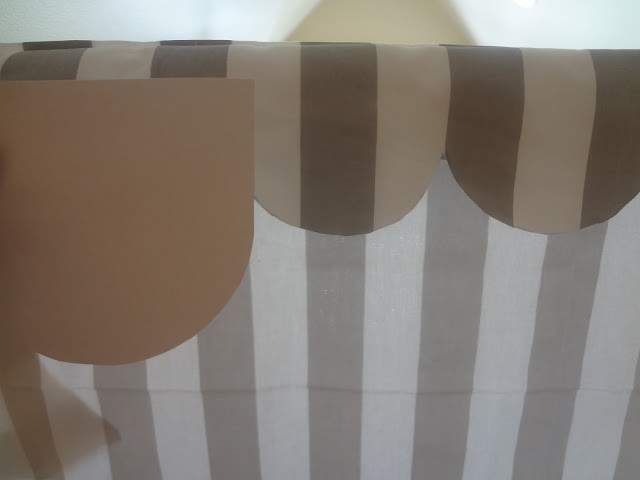 Here is a sneak peek of some crazy cute window treatments that I decided to make up at 12:30 in the morning. I'm so glad the plans changed because they will be awesome. Glad to be back friends! Glad you're back! Loving the look of those window treatments!